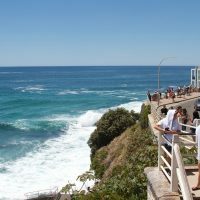 Sydney Private Tours vs. Group Tours Sydney Private Tours vs. Group Tours? 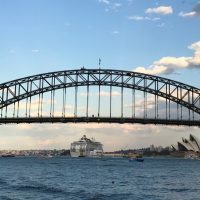 When it comes to planning your dream holiday to Sydney, you want to make sure that you are getting exactly what you want out of your holiday. For many people this can be a confusing time. This is when a tour can make the planning process so much easier. To help you decide which option will be best for you we have outlined the pros and cons of both private versus group tours. 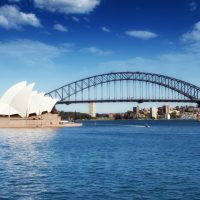 Enjoy a Private Tour of Sydney Sydney, the capital of New South Wales and Australia’s largest city. Sydney is best known for its harbour front Sydney Opera House, with a distinctive sail-like design. Other major attractions that attract millions of visitors each year is the spectacular coastal views. The three sister is one of Australia's most spectacular landmarks. 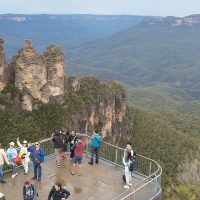 Located in the iconic Blue Mountains approximately a 2 hour drive from Sydney. Bondi beach is without a doubt one of the most iconic beaches in Australia and one of the best kept jewels of Sydney. 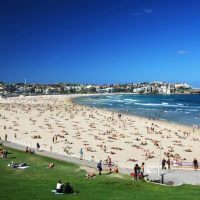 Located only 10kms from the city centre on the Australian coastline you can't miss a visit to Bondi Beach if visiting Sydney. 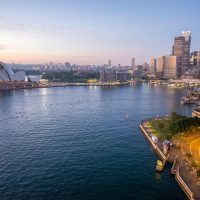 If you’re planning a visit to Sydney this year, brace yourself: roughly 5 million other people have the same idea. 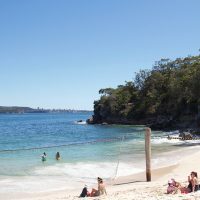 To avoid the crowds, book a private Sydney tour and see some of the world’s most famous beaches, the Greatest Harbour on earth or the World Heritage listed famous Blue Mountains — all of this whilst traveling in a climate controlled Luxury SUV. February. A beautiful time for a Private tour of Sydney! Sydney stands head and shoulders above all other cities in Australia. 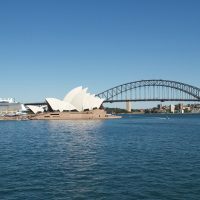 It offers it all, beaches, parks, buildings, views, Sydney, the capital of New South Wales and Australia’s largest city, is best known for its harbour front Sydney Opera House, with a distinctive sail-like design. Other major attractions that attract millions of visitors each year is the spectacular coastal views. Tours are not just days away that we cherish in our memory — at 5 Star Sydney Tours we believe that tours are also adventures that we share with family and friends where you enjoy time together and can experience the joy and beauty of the locations you visit. Unlike a group tour (such as a guided bus tour) where you are traveling with a large number of strangers and are limited in where you visit on your tour and what you see — a luxury private guided tour with 5 Star Sydney Tours can be customised to suit you, your family and friends, and is a much more enjoyable experience, by far the very best option when it comes to visiting Sydney, The Blue Mountains and The Hunter Valley.